Gumisai Manduwa was charged and detained for 2 nights after he allgedly insulted Zimbabwean President Robert Mugabe over the social media. 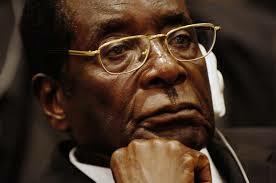 Mugabe has long been absent from the public. This has given rise to a wave of speculation on the social media that the 90-year old president might be dead. Mugabe’s spokesperson however denies this claims noting that the president is on his annual leave which he normally takes in January. Gumisai was charged under Section 33 of Zimbabwe’s Criminal Law (Codification and Reform) Act, a piece of legistlation passed in 2010. Under this law, it is forbidden to insult the country’s leader. The teenager was granted $30 bail on Saturday morning upon the intervention of ZLHR (the Zimbabwe Lawyers for Human Rights). “In Zimbabwe, insult laws have been routinely used to arrest and detain dozens of people for allegedly insulting and undermining the authority of the Zanu PF leader. More than 80 similar cases are pending before the Constitutional Court and other subsidiary courts of the land.” – ZLHR. A 2011 case against Vikas Mavhudzi was dropped after state organs failed to present evidence of his Facebook post alleged to violate the Codification and Reform Act. Reportedly Mavhudzi had posted a message on MDC leader Morgan Tsvangirai’s Facebook page that urged him to take over the government in a similar fashion to the Egyptian movement during the Arab Spring.